Have you seen other pet owners walking around with their dog dressed in clothes and wondered if you should do the same for your animal? At Pauley’s Pups, we’ve seen our fair share of doggy outfits -some reserved, some extravagant, and some just plain ridiculous. If you don’t currently dress him up, are you keeping your pup from enjoying a great pleasure or sparing him from discomfort and humiliation? Although the concept may seem strange at first, there are actually several reasons why dressing up your dog can be a good idea. When deciding whether or not to clothe your dog, one thing to consider is the breed. While some breeds, especially longhaired ones, will not need any additional clothing, others could benefit from a thick sweater or wool shirt. If you have a smaller dog, such as a toy breed, there’s a greater chance that your dog has a thin, short-haired coat. These types of dogs can benefit the most from clothes, especially if you notice them routinely shivering when it’s a little colder outside. Small dogs are far from the only canines that can benefit from a sweater. If you have an older dog, they may have a weak immune system, causing them to get sick more frequently. You may even have a dog that suffers from a disease like hypothyroidism that can cause them to feel cold most of the time. These types of dogs and others may not be able to keep themselves warm without some extra help. Keep an eye on your dog’s behavior, and pay your vet a visit if you feel like something might be wrong. 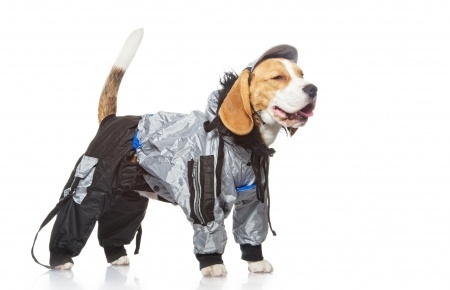 These are just a few of the reasons why dressing your dog in clothes is a good idea. Dressing up your animal can also be fun for parties and family get-togethers, and they’ll be sure to let you know if they don’t appreciate it. However, there are many practical purposes as well. Keep your dog warm this winter and you will have a happier, healthier friend!